Chartered again this year by us, same charterer for the past 7 years. Just proves how comfortable sh is. million or less. Currently operating as a successful Mediterranean charter yacht. 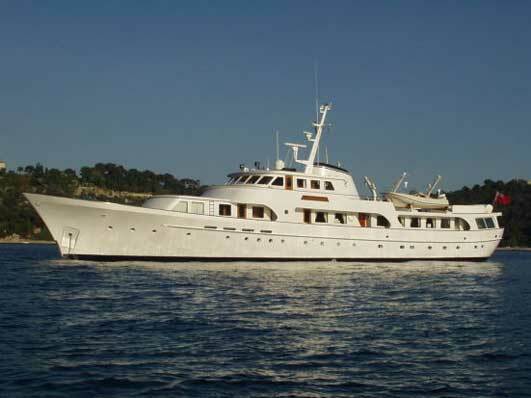 One of our clients has chartered her for 6 consecutive summer cruises. Inviting offers following inspection – can guide on pricing.